Michael has been a principal of the firm since 1984. 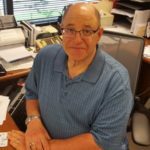 He specializes in accounting, financial planning, tax, and other financial services for small to medium-sized companies and for individuals. After graduating from the University of Illinois at Chicago in 1976, he began working in public accounting. Except for about two years over the past few decades, he has worked in this field ever since. He began working on his own in 1986, joined forces with another accountant in 1989, and then began working on his own again in 1994. Michael has deep experience serving many different types of clients. These include retail businesses, wholesale distributors, doctors, dentists, architects, attorneys, landscape companies, and construction contractors. Michael lives with his wife in Buffalo Grove, Illinois. They have four children and two grandchildren, and they are expecting three more grandchildren by the end of the year. Jordan Sparagana joined the firm in early 2017 after serving for about a year and a half as a tax associate at RSM US LLP. Jordan earned a Bachelor of Science in accounting from Illinois State University in 2014. 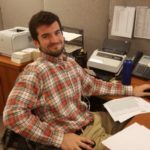 He passed all parts of the CPA exam in 2016 and is awaiting licensure. Jordan lives in Highland Park, Illinois. Mari has more than 25 years of experience as a certified public accountant. She assists businesses of various sizes and individuals with tax filing. 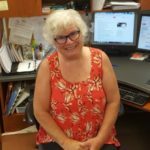 She also provides all levels of QuickBooks support to clients — including training, setting up and maintaining files, and troubleshooting. Mari attended Wartburg College. She worked as a retail buyer for Macy’s in New York City before returning to college in 1990 to study accounting as a second career. Mari is married with two children and lives in Arlington Heights, Illinois. She and her husband are expecting their first grandchild this November.